Rogue Women Writers: Possibly the best place to write a book! What is it about a certain town or area that spawns dozens upon dozens of authors? Of course there are writers living in all parts of this wonderful country, but there happens to be one small part of my state of Florida that is the home of so many creative souls, I wanted to tell you about it. 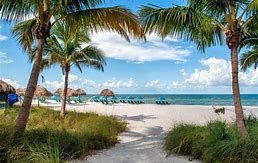 The place is Collier County which encompasses Naples, Cape Coral, Sanibel, Captiva and other smaller islands -- all populated with bestselling as well as aspiring writers of all stripes. Well known for having a very friendly atmosphere, great restaurants, first-class philharmonic cultural center, attractive shops, nature trails, sailing, and fishing -- it's probably best known for our gorgeous beaches. Yes, there are all sorts of beaches along coasts, but Naples offers miles and miles of the most lovely and soft WHITE sand beckoning gentle waves from the Gulf. Imagine relaxing here, taking a stroll and then jotting down your thoughts as the warm breeze ruffles your hair. novel including the famous Robert Ludlum who lived and worked here for many years until he died some years ago...but his character, Jason Bourne "lives on" through the pens of two of my Rogue colleagues, Gayle Lynds and Jamie Freveletti. Can you believe that there are now 225 million Ludlum books in print! Speaking of Rogues, one who lives here on Cape Coral is Lisa Black, who has turned her professional experience as a crime scene investigator into a number of bestselling thrillers. Her latest endeavor is titled Suffer the Children. This book has been described as "riveting...one with intriguing details...a story with a sharp psychological edge." She certainly knows her subject, having testified at over 50 trials along the way. Other well known authors who live in Naples include the ever-popular Janet Evanovich whose Stephanie Plum stories have kept her readers laughing for decades. Now Janet, who lives here year-round just down the block from us has a brand new novel coming out on Tuesday (!) where she weaves in some of her own experiences working as a waitress in a Howard Johnson's during college days. It is Twenty-five Alive....Janet has had such success - that one of her books was also made into a Hollywood feature film. 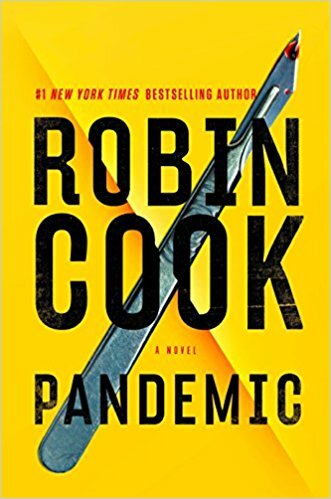 As for film adaptations, author Robin Cook, also of Naples had one of his first novels made into a movie several years ago -- and has kept writing medical thrillers ever since. His new one, Pandemic, is available for pre-order as it will be out in December - timed for Christmas sales. One more book-turned-into-film is by local author Suzi Weinert. I was on a panel here in Naples not long ago with Suzi, a delightful woman who explained how she loves to go to garage sales. So she came up with the idea of creating a mystery involving special things you can find at such sales. The Hallmark channel was so intrigued that their producer bought the rights and now we can all watch "Garage Sales Mysteries" on the Hallmark Movie & Mystery Channel. Over on Sanibel Island we have Randy Wayne White, a former fishing guide turned bestselling author. 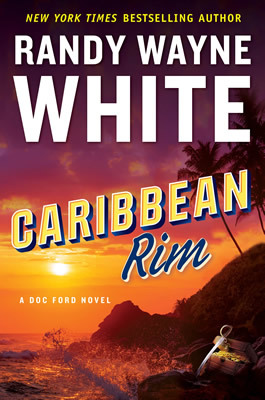 His novels feature Doc Ford, a marine biologist who gets into all sorts of wild situations and challenges. The newest adventure is described in Caribbean Rim, a story of murder, sunken treasure and pirates -- both ancient and modern. On a lighter note, we have resident Lynnette Austin whose romance novels have garnered her many awards along with bestselling status. 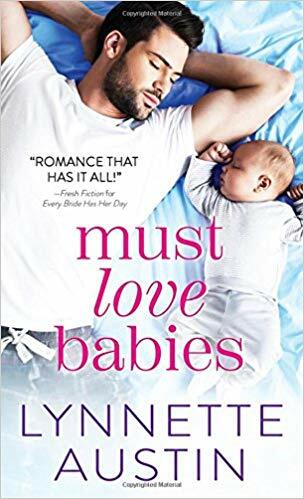 Her new novel is titled Must Love Babies --who could resist that subject? It turns out that I will be joining Lynnette and some FORTY Naples area authors who will be signing our books this weekend at the Collier County Regional Library Book Fair. 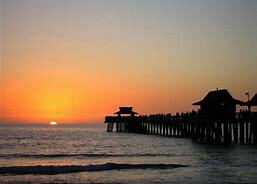 And for a relatively small town like Naples, Florida -- you have to admit we have a ton of talent around here. So again, I pose the question, what is it about an area that spawns dozens upon dozens of authors? Perhaps it really IS the way we live, think and dream as we all watch the sun go down every single evening in this very lovely place. If you are a writer, do you have a special place that inspires you? Or have you heard of other places where many writers have found their own inspiration? Leave a comment here, or on our Facebook page (icon is at the top left). Thanks for visiting us today. Hi Karna: Love the photo of that gorgeous beach. And I had no idea that Janet Evanovich and Robin Cook live in Naples as well. Quite a writers' community you've got there. Enjoy the sun! I have to admit, you make me want to relocate to the other sunshine state. I had no idea there were so many authors tucked into your little corner of the world. How fun! Hope that big signing event is a smash hit! Thanks for the shout-out, Karna!! I have always been amazed by how many writers live in Naples! Wasn't Stephen King there for a while too? Wonderful post, Karna Small Bodman! I've written in all kinds of weather and climates and seasons, and in the end what matters to me most is a view, particularly of nature, which seems to nurture me. 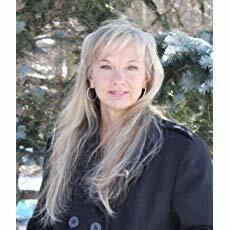 With my thrillers I've set them places I like to go, but my mysteries are all set in the Rocky Mountains. I grew up here, love it here, and am amazed by the number of authors who populate what we call the Rocky Mountain region. Of course, today the snow is flying and that sunshine looks pretty darn good. I love Southwest Florida and have several of my stories set in Punta Gorda and Sanibel. The waters and ambiance call for intrigue, don't they? My current series is set in Montana. 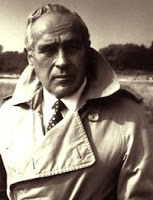 Completely different geography and history, also lending itself to suspense. And, yes, I agree with Christine, that sunshine looks really good as I sit in Maryland in the rain. LOL!